Fill each day in just your own way - how about starting off with a family Wake 'n' Shake session? 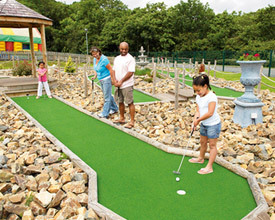 Then once warmed up, head to the Kids' Clubs venues for a morning of fun! Feeling peckish? Head to the Cafe Bar & Grill for a quick refuel before seeing what the afternoon brings you - maybe an afternoon in the outdoor SplashZone? 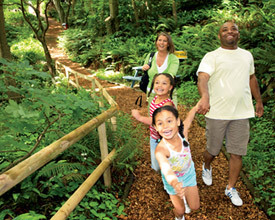 Or a relaxing nature walk with the rest of the family? Head out into local New Quay for dinner, or stock up at the Park's supermarket, before getting glam for a family evening of music, dancing and shows. 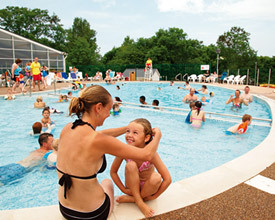 Quay West Holiday Park offers the following facilities. Coming from Cardigan on A4847, turn left onto A486 into New Quay Village. Coming from Aberystwyth on A487 turn right onto B4342 into New Quay Village. Coming from Carmarthen on A484 turn left onto B449 through Llandysul and onto A486 into New Quay Village. A land steeped in history and tradition, renowned for its Welshness. Much of Ceredigion's 50 mile coast is designated Heritage Coast. Inland lie the uplands of Plynlimon, the forests of the Cambrian Mountains and the verdant vales of the Teifi, Rheidol, Aeron and Ystwyth rivers features some truly beautiful landscapes. From few places in the UK can you spot dolphins! With the fresh sea air south west Wales is a great place to settle down for the perfect sunset over Cardigan Bay. Relax along the woodland walk which winds down from the park to the sea and enjoy the pretty stone walled harbour with plenty of craft shops. The local fishing harbour of New Quay has dolphin boat trips or why not visit the Cenarth Falls not far away believed to be one of the most breathtaking sights in Wales. Once you have finished relaxing get the adrenaline pumping at Oakwood Theme Park, Wales' largest theme park with Europe's largest wooden rollercoaster. 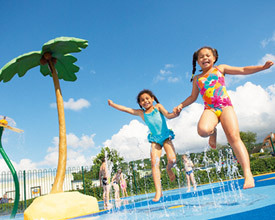 Have you been to Quay West Holiday Park? Please submit your review so that others can benefit from your experience. 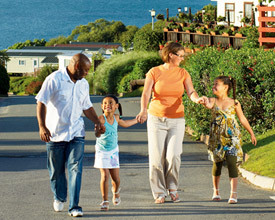 Important note: Information provided here about Quay West Holiday Park is based on our best knowledge. 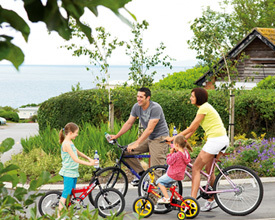 However, please check with Quay West Holiday Park before booking to ensure that you have the information required. 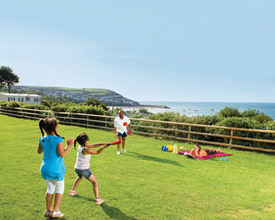 Reviews are the sole views of the contributor and do not necessarily represent the views of CampsitesandCaravanParks.com or Quay West Holiday Park.